Standard Rate applies to all Officers, Warrant Officers, Noncommissioned Officers E7-E9, and Government employees GS-08 and above. Enlisted Rate applies to all Enlisted Soldiers E6 and below, Government employees GS-07 and below, and Government contractors. All memberships include a subscription to 1775, the official journal of the AGCRA. Renewal is automatic at the end of the term unless cancelled. Age below refers to Lifetime membership for prorated rates. When registering, please use your personal e-mail address as DOIMs across the Army are making it more challenging to reach AGCRA.com through @mail.mil e-mail addresses. 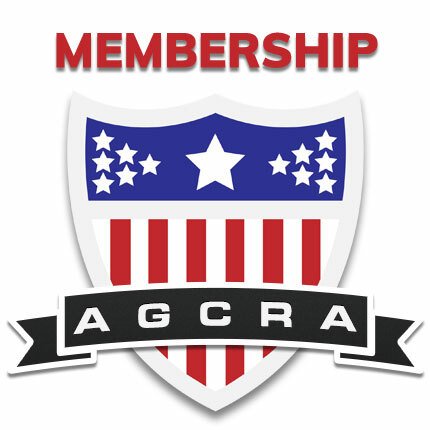 Although we encourage everyone to join or renew their AGCRA membership on our website, you can also mail in a hard copy application with payment to AGCRA, P.O. Box 10026, Fort Jackson, SC 29207 – AGCRA Hard Copy Membership Application. Membership makes the most sense when you are part of an active chapter. Select one now.